A service for users to connect their devices and resources anywhere on the internet. V-NET is a system consisting of services and clients for users to connect their computers, smart devices of increasing varieties in anywhere and at anytime. It tries to be device and network agnostic so that devices can be cross connected on the internet over any IP based network, like ethernet, WiFi or 3G/4G/5G mobile ones. All connections are encrypted using method of modern cryptography. It is simple to use, plugin and setup free. Major features of V-NET can be reashed in a few clicks of buttons. 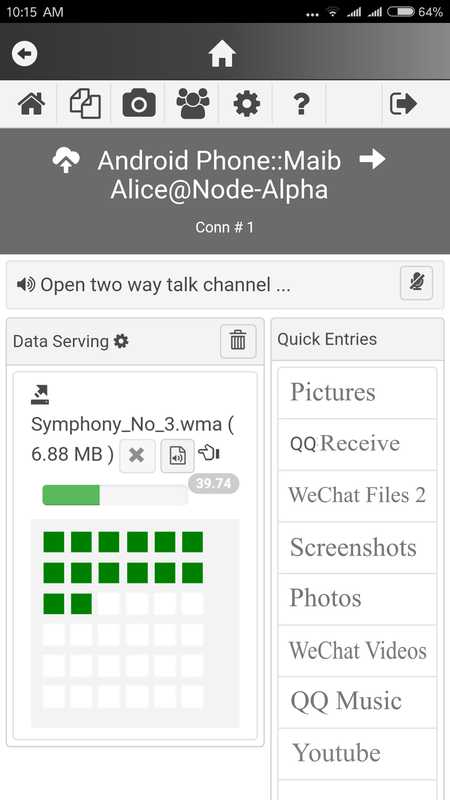 It can be used to exchange data, streaming realtime video/audio between devices and/or other users, text/audio/video chat, manage and control devices locally or remotely, etc. 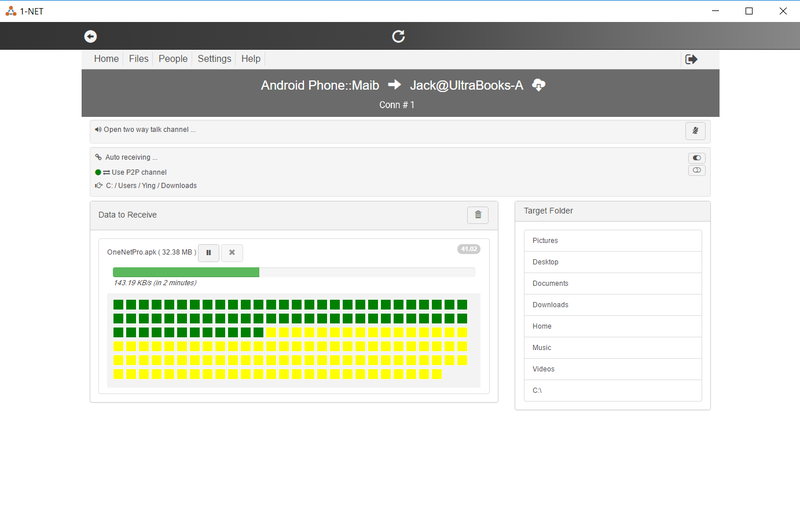 There are a mixture of ways that a user can use to connect their devices together. One can use a browser or a V-NET desktop client or a V-NET mobile app. Starts with a list of entries for resources that a user can manage and/or exchange with others "endpoints", including devices and friends, which are just a few clicks away. Direct exchange existing files, auto transfer of files generated by camera, audio/video recordings devices, etc. to a remote device or people securely without leaving or leaking any data on the "cloud". Voice (or video) meeting. Collaboration at distance with security and privacy ensured. Interested in a video call? It can be easily done here. 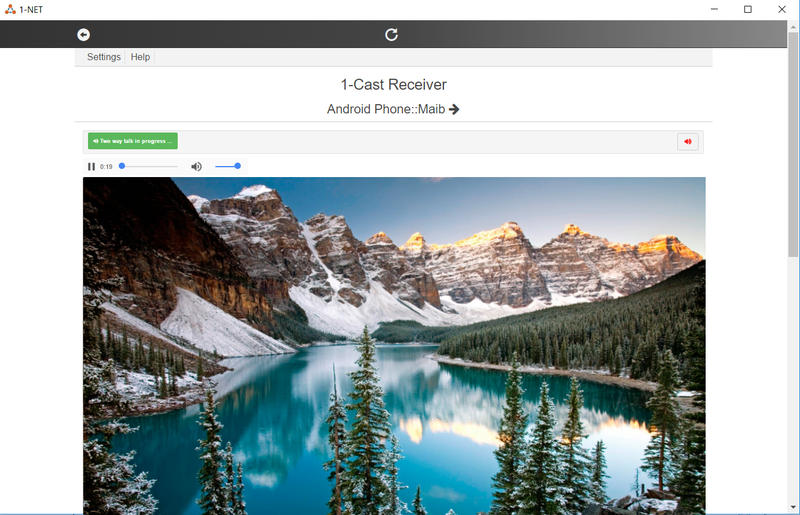 Share realtime views with a few others at distance even with two way voice coordination channel open. The views do not have to come from the camera, it can be a desktop window. 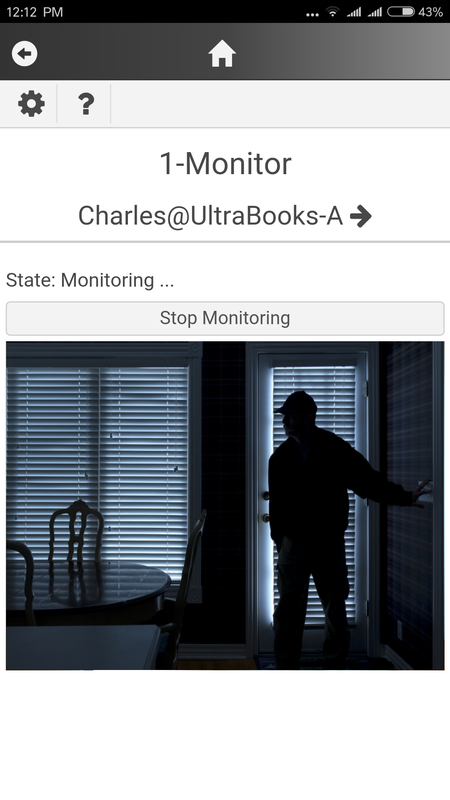 Pre-authorize a few other devices from a monitoring device for on demand remote monitoring. The views do not have to come from the camera, it can be a desktop window. 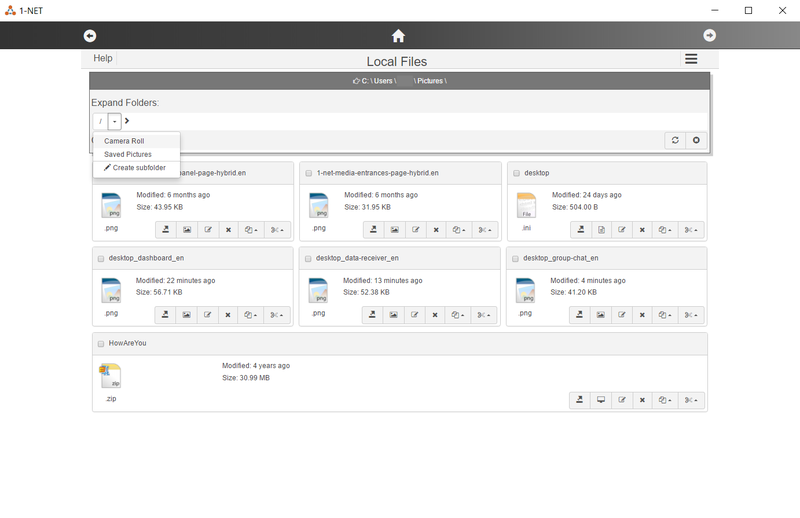 Local files and file system manager for devices of all sizes and types gives users unified experiences. Initiating R/D on V-NET trans-LAN layer 2 and 3 multi-target IP routing system. V-NET gateway upgrade. Version 0.6.2 RC of the standalone edition of it released. Inception, the core architecture of V-NET trans-LAN distributed storage system tends to be stabilized. V-NET trans-LAN distributed storage system is designed to be an event sourcing system that runs on low end computing devices and is highly deduplicatable, replicable and more flexible than git. Work in progress. Starts developing V-NET distributed storage system. Added embedded multi-cast channel in group chat for local multimedia files. V-NET multi-channel composite real-time media framework takes its initial shape. Realized user hot (live) media track addition/removal or modification operations. Refactoring of media sub-system; Implement local media file multi-casting between V-NET endpoints. Add V-NET distributed device geo location tracking system session saving and replay feature. Initial feature set is close to completion. V-NET distributed data streams has data persistence and full endpoint multi-clustering support. 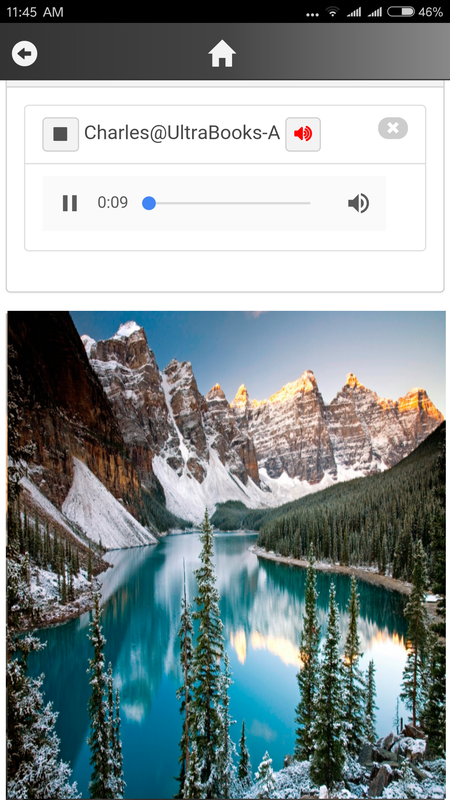 Live spectrum display is added to V-NET audio player. V-NET distributed device geo location tracking system starts to be functional. The visual interaction part allows third party plugins. V-NET distributed device geo location tracking system initialized. 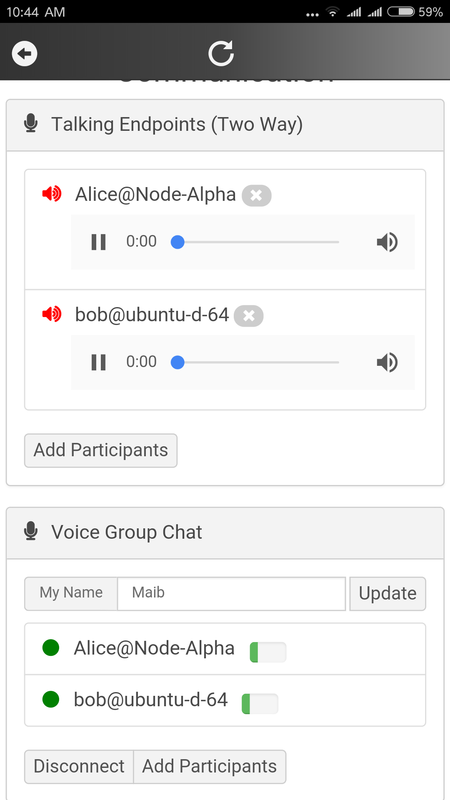 V-NET clients v0.8.5-beta released, featuring distributed clipboard. A functional V-NET distributed clipboard was added to V-NET clients. V-NET distributed clipboard project initiated. V-NET trans-LAN ssh client v0.5.0-beta initial release. V-NET trans-LAN browser v0.2.0-beta initial release. Website now support hierarchic product categories. 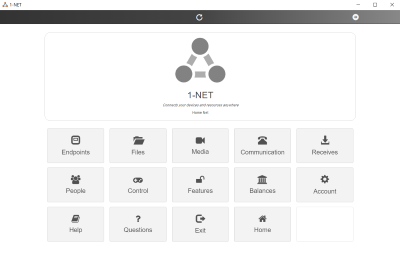 V-NET trans-LAN RDP client v0.5.0-beta initial release. Changed service name from 1-NET to V-NET to avoid potential name conflict. The documentation system has an initial shape. Documentation for web base remote terminal is in progress. Web based remote terminal system is functional. Initiate V-NET polymorphic documentation system for micro-services on edge devices project. Initiate open source web based remote terminal project using V-NET user and endpoint authentication and authorization mechanism. Miscellaneous tasks of refinements, upgrading, documentation, experimenting, contemplating, etc. V-NET clients v0.8 rc released for public testing. V-NET clients v0.8 beta released for internal testing. 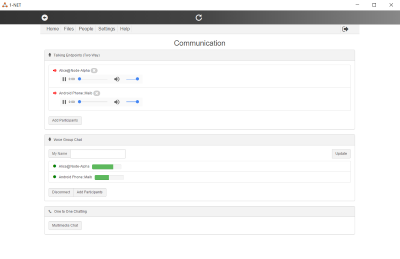 Featuring peer communications. V-NET clients v0.7 beta released for internal testing. 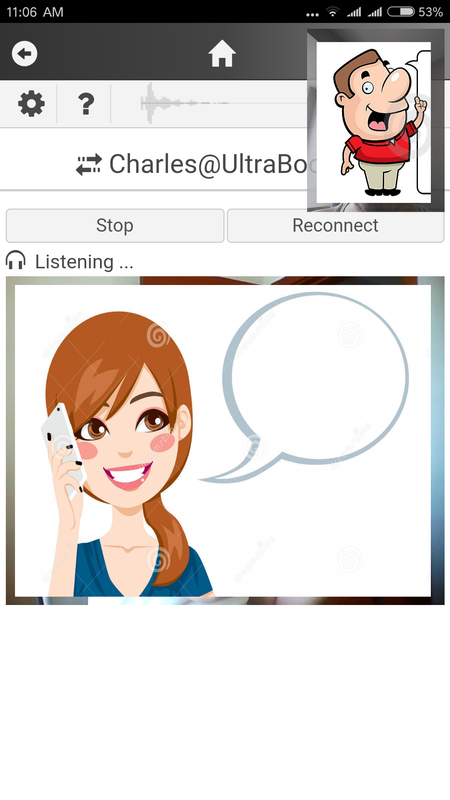 Inter-peer media (audio or video) call and communication is realized. The development of the social dimension of V-NET is initiated. V-NET back-end supporting system upgraded. V-NET media server acquired essential features. Initiate V-NET CDN long term project. Media processing components of V-NET clients are upgraded. 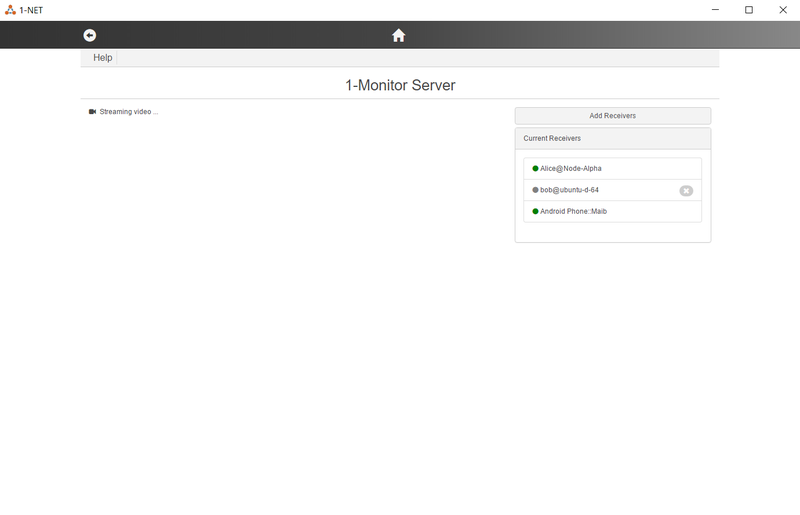 Back-end services are upgraded to allow a user to self administration the V-NET gateway cloud fronts. The desktop (computer) edition of the V-NET gateway is deployment ready. The multi-tenant V-NET gateway cloud service system is deployment ready. 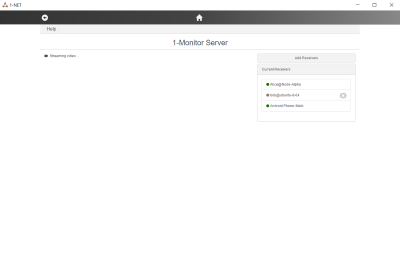 The cloud front for V-NET nodes is online deployable. V-NET gateway has a remote console through the cloud front. It also supports multi-tenant so that it can be used as a service in cloud environment. V-NET Cloud front essential features implemented, including multi-factor user authentication and fine grained access control. V-NET Cloud front for V-NET is initially functional. Cloud front project for V-NET nodes is initiated. The production system is still under development. Major dependencies for the subsystem are implemented. The second milestone is reached. Auto production system for backend consensus based distributed relational data services is under development, the first milestone is reached. Backend data services were upgraded to have systematic flatbuffers binary data serialization capabilities. V-NET service for north America and World market opened. Production tools/system migration (to newer ones) and sub-system reconciliation and optimization started. V-NET distributed notification framework established, added more security management means. Start implementing V-NET notification sub-system. Port security sub-system becomes operational. Start implementing port security manager. V-NET client apps v0.6 release candidate published. Some V-NET apps are integrated with naming sub-system and published at github.com. V-NET name resolution sub-system is operational. V-NET name resolution sub-system project initiated. 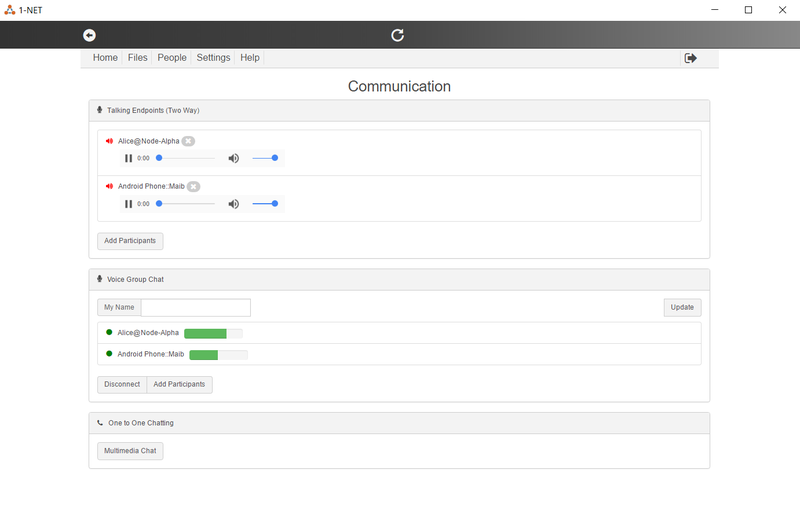 V-NET system integration completed. It's architecture is now expandable for supporting enterprise application environments. V-NET gateway now has runtime state self recovery capability and can be expanded both vertically and horizontally. V-NET gateway data tunnel isolation functionality became operational for the first time. V-NET gateway data tunnel isolation project initiated. V-NET gateway is shown to be able to handle various kinds of real world data loads. V-NET trans account network data routing sub-system is under development. V-NET transactional storage system project initiated. V-NET system upgrade phase 1 completed. V-NET system upgrade reached first milestone. V-NET backend service and production upgrade initiated. V-NET file transfer system becomes more distributed. V-NET website, clients, etc. upgraded. V-NET gateway is usable under realistic application and network environments. First trans-pacific connection established using V-NET gateway. V-NET gateway intelli-shell interface becomes hot- attach/detach -able. V-NET gateway forkable intelli-shell implemented, targeting multi-accounts simultaneously. V-NET gateway is production ready. V-NET gateway can supervise itself to support co-operation of multiple sub-net accounts. V-NET gateway has an intelli-shell dialog interface. V-NET inter-LAN Media Player comes to life. V-NET inter-LAN Windows Remote Desktop is born. 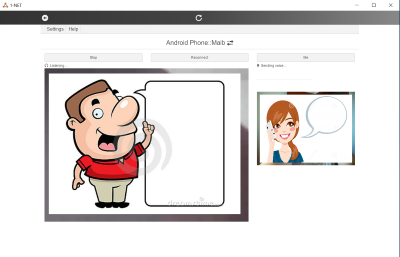 New auxiliary apps of V-NET are born. Welcome V-NET browser and ssh client. V-NET is upgraded to welcome IOT security gateway to join. Age 0! V-NET IOT security gateway is born with a web interface. V-NET IOT security gateway starts to has a live of its own. V-NET IOT security gateway reached first milestone. V-NET apps and desktop clients 0.5.0.3 released. V-NET IOT secured gateway project is initiated. Linux on ARMv7 architecture is supported. 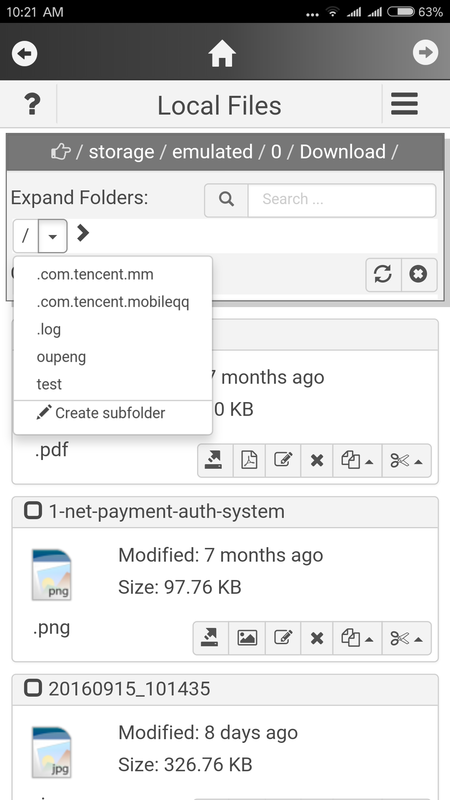 V-NET apps and desktop clients 0.5.0.2 released. Global edition of V-NET (apps and service) released. V-NET apps and desktop clients 0.5.0.1 released. V-NET server side platforms are upgraded. 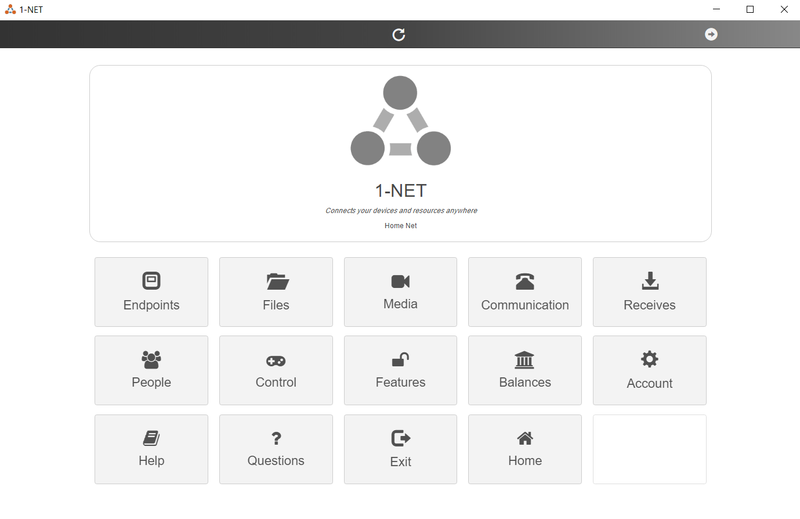 V-NET apps and desktop clients 0.5 are test released. V-NET apps and desktop clients are updated. V-NET desktop clients are digitally signed. V-NET apps and desktop clients are updated. Add native handler for files. V-NET desktop clients are updated.